Have you had a good Christmas? I’m sitting here with the fairy lights twinkling, presents in piles around the sofa, cards on the mantlepiece along with the stub of the seemingly everlasting Advent candle which finally spluttered to an end last night during Harry Potter. I love Crimbo-limbo, that special time between Christmas and New Year when life seems to go in slow motion. Looking back at my end of year galleries from 2012 and 2013 I’m amazed at the number of things I’ve crocheted, knitted and sewn which I’ve forgotten about! Lots has been given to family and friends and so it must be a case of out of sight, out of mind. Today it’s my blog birthday, 3 years old! It was originally a way to record my progress as I practiced my fledgling crochet skills online diary styley. I always thought that to be mentioned in a crochet magazine one day would be the icing on the cake, although that was obviously never going to happen. Wrong! 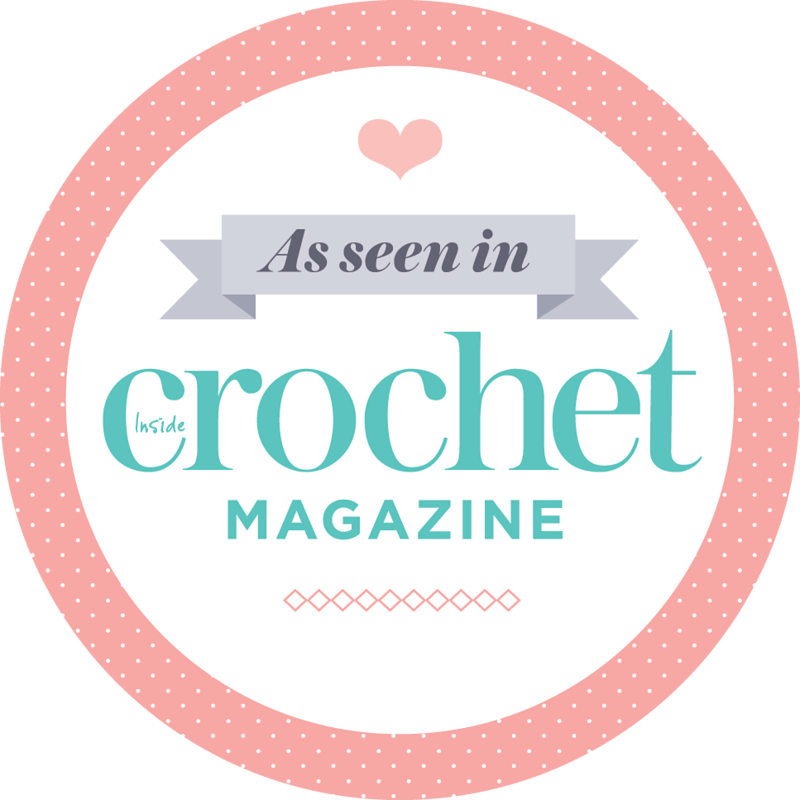 This blog and my crochet have now been featured in Inside Crochet as part of their Our Favourite Blogger feature, and earlier this year Simply Crochet paid me to design a Springtime brooch for an issue of the magazine. Also, I’m still delighted that photos I posted after a birthday lunch were used in Decanter magazine. Ca-ching! The Zesty Raspberry Ripple was received with great praise for the colour choices “they’re really me, I love the raspberry and greys together, and lime green is my favourite colour.” It barely left my sister in law’s side after she unwrapped it. Excellent. Thank you for all your likes, comments, emails and messages on social media this year. It’s been fun. Let’s do it again in 2015. Yes!!! Let’s do it again my dear friend ! Hugs to you! Cheers ! Happy 2015 right back at you! Thank you and to you with bells on Carole. What a smile this post gave me. Love, love that ripple and oh gosh, the bunnies and their little blankets. Too sweet. What a lovely compliment, thank you! Happy 2015 to you. The rabbit is Stanley. I tested some often patterns for Kate. See her gorgeous Greedy for Colour blog for more about him and his friends. There’s a storybook available on Etsy which includes patterns to make your own Stanley too. Thank you! Happy New Year Lil.